Deliver your messages loud and clear with high definition digital dynamic advertising. These units draw a lot of attention being totally illuminated and are a large 8 ft long and over 4 ft in height. These units are wall mounted at eye level to maximize the impact. We have also designed the digital kiosk with a variety of facility specific content located in the centre of the unit, this draws the viewers to congregate for vital information. In a time where companies are striving to connect with their communities, what better way to do so, then through having great exposure where our Families gather and our children play in our great, all-Canadian community arenas. 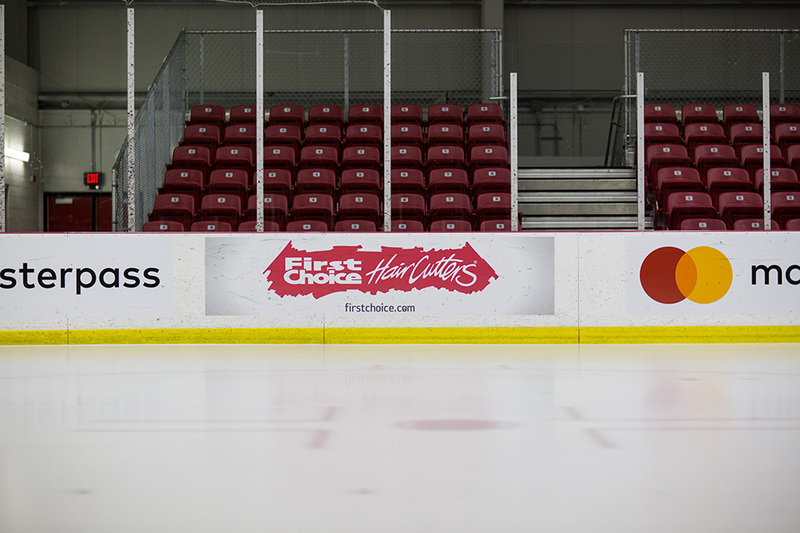 These facilities support many programs; Minor hockey, figure skating, learn to skate, skill and drills, public skating, senior skates and as well, our many adult leagues. These are the people that can make a difference to the local business. Your rink board will be seen by hundreds of teams, other ice activity participants and the thousands of viewers in the audience. The times are changing SMART PHONES, TABS, IPADS and HANDY CAMS have become a part of life. Now more than ever RINK BOARD exposure has taken off. Parents and other family members taking pictures and videoing has gone crazy. Texting pictures to family and friends can be done in an instant. Face book, instagram and scrape book. Family digital achieves with pictures of your Business logo, colors' and slogans all in the background, all part of the family picture day chrome carted up on the family TV. More and more are Local community papers and community TV are covering our local games and events in these facilities. SO DON'T BE SURPRISED TO SEE YOUR RINK BOARD IN THE LOCAL NEWS PAPERS OR COMMUNITY TV CHANNELS. 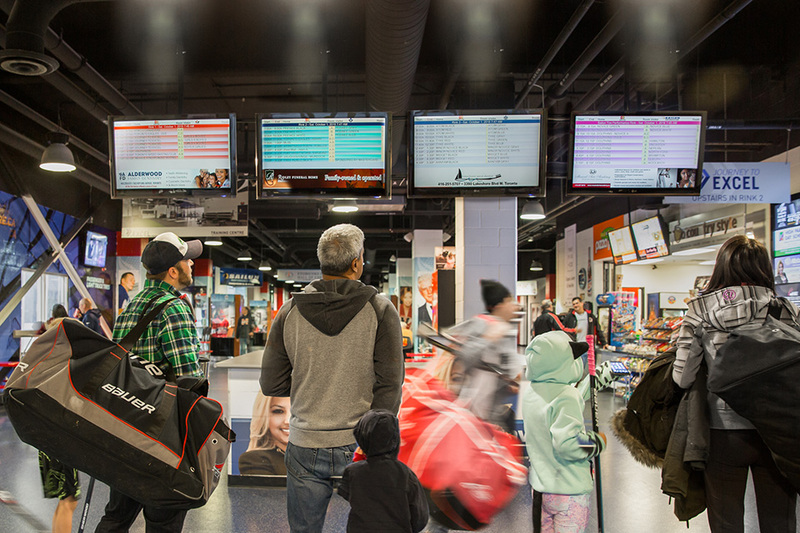 Static wall signage offers highly visible static advertising placed in key high traffic areas of our community centre's and arena facilities such as lobby and foyer areas, allowing clients to attract new locally based customers through increased name and brand recognition. Customers take cell phone pictures of or Google signs of interest for future reference on a product or service or they could call directly from the centre for food pickups, pricing, reservations or home or auto services etc.